The new images reveal a fully uncovered production-ready MG Hector. The SUV was spotted in London, and judging by the brand nameplate the SUV could be there for a special showcase or a TVC shoot. 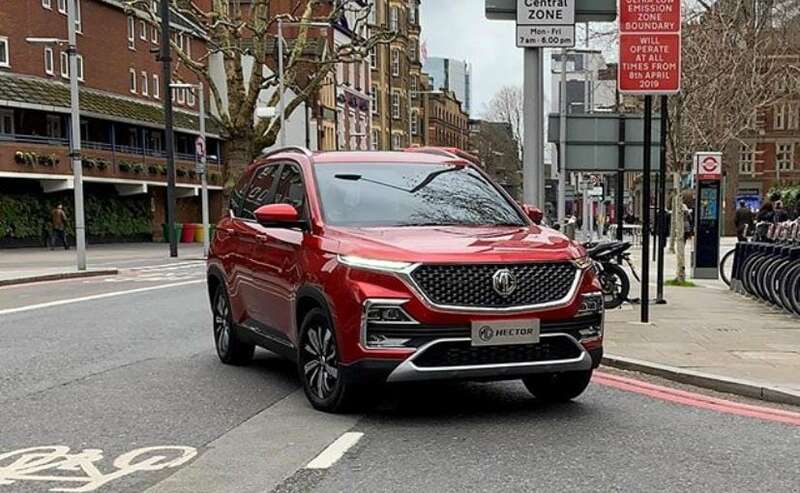 Images of the production-ready MG Hector SUV have recently surfaced online, and this time around we get to see the SUV completely uncovered. 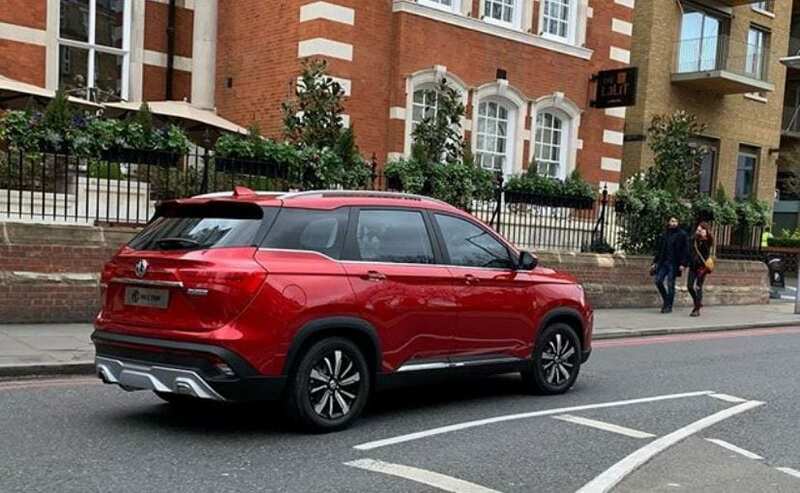 Slated to be launched in India later this year, this particular production MG Hector was spotted in London, and judging by the brand nameplate the SUV appears to be there for a special showcase or a TVC shoot. The MG Hector seen in these images is the fully decked up top-of-the-line variant of the upcoming SUV and comes with all the premium exterior features like - chrome elements, LED headlamps, LED daytime running lamps, multi-spoke alloy wheels, and LED taillamps. Most of the exterior elements that we see here have already been revealed to us via teaser images and spy photos that we have seen so far. However, in these new images, we finally get to see the large silhouette of the SUV, which will also come with a floating roof design, silver roof rails, black claddings for wheel arches and side skirts. The front and rear bumpers both come with large silver skid plates, while we also get to see the rear spoiler, shark-fin antenna, and a rear windshield wiper. The upcoming MG Hector, the SUV will be the largest in this class, with a length of 4655 mm, a width of 1835 mm and a height of 1760 mm. We do not get to see the cabin of the new MG Hector in these images, however, judging by the exterior, we do expect the SUV to come with premium interior and features like - with power adjustable seats, cruise control, electronic parking brake, and 360-degree camera. We also know that the SUV will come with a panoramic sunroof, which the company claims will be the largest in the segment. While we still await official technical specifications, powertrain-wise, the new MG Hector will come with the option of both, petrol and diesel powertrains - 1.5-litre petrol engine and a 2.0-litre diesel motor. The latter is the Fiat-sourced oil burner that was introduced in the Jeep Compass. Transmission options could include both manual and automatic option. Competition-wise, the new MG Hector will go up against the likes of the Jeep Compass and Hyundai Tucson, along with maybe even the top spec Hyundai Creta and Nissan Kicks.